There can be no pretense with a pared-down combination like this. It is laughably simple but addictively amazing. 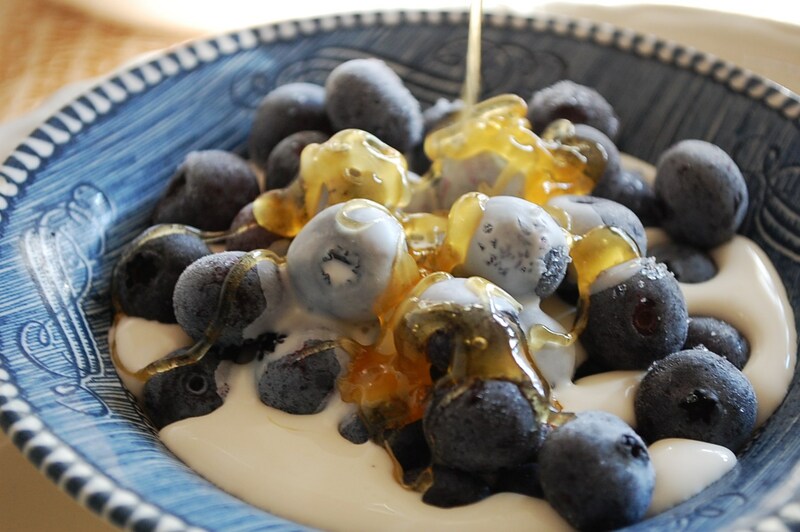 Just the most pure and stellar ingredients, namely prime blueberries robed in the freshest cream and raw honey. This is what you would have if you were to deconstruct the most perfect blueberry ice cream. 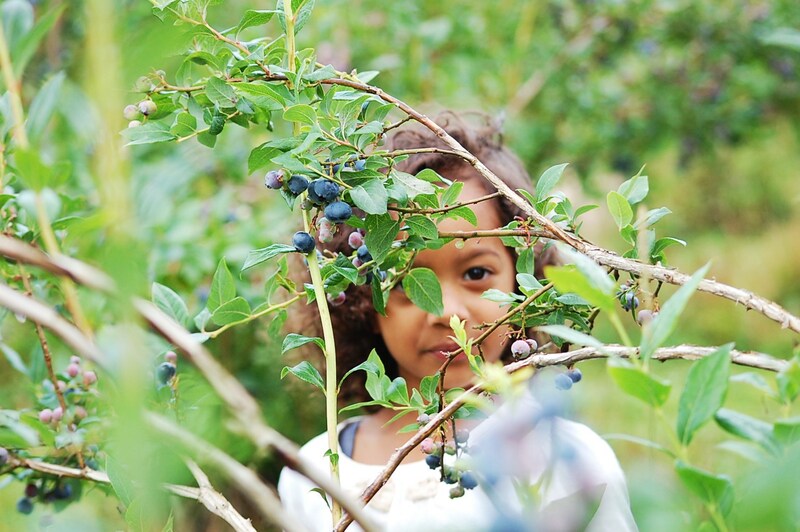 Our family picked blueberries at a verdant farm late in early August and froze at least 16 quarts. We might be down to our last 6 quarts but we are still doing better than last year. 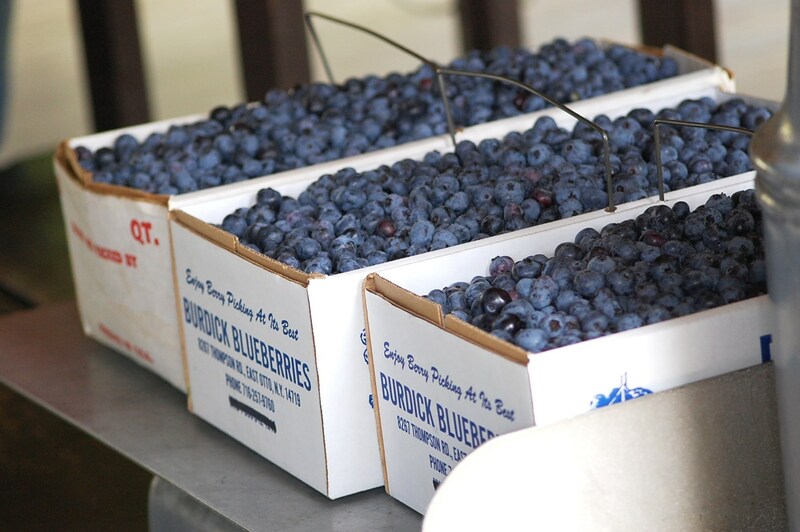 After our traditional visit to Burdick’s Blueberries that year, I ate blueberries and cream, layered with a mass of golden honey, every. day. for weeks. I was a unabashed glutton. It’s a wonder I didn’t become malnourished on my daily meal (or two) of this. Either that or that I didn’t become quite rotund. 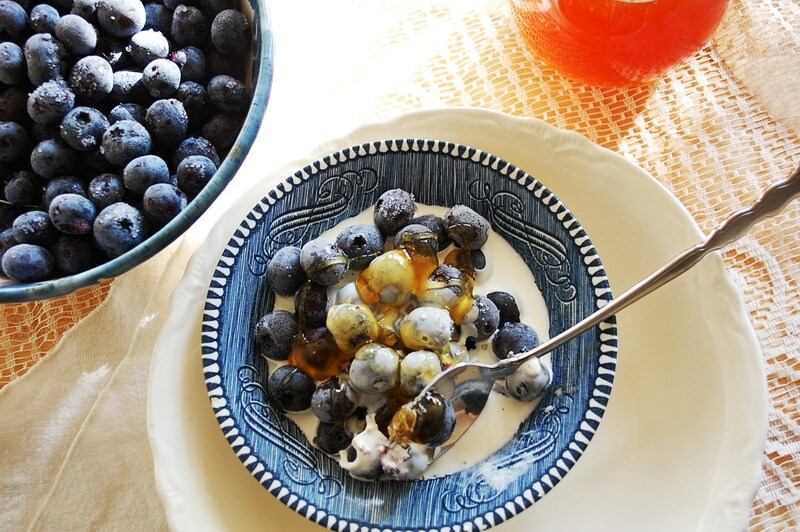 Thankfully though, this brief list of ingredients does include some major doses of nourishment, between the powerful antioxidant properties of the vivid blueberry, the live food benefits of raw cream as well as loads of fat-soluble vitamins, and continuing with the antibacterial, anti-fungal, antiviral activity of raw honey…. I realize that not everyone has access to local blueberries of this quality. 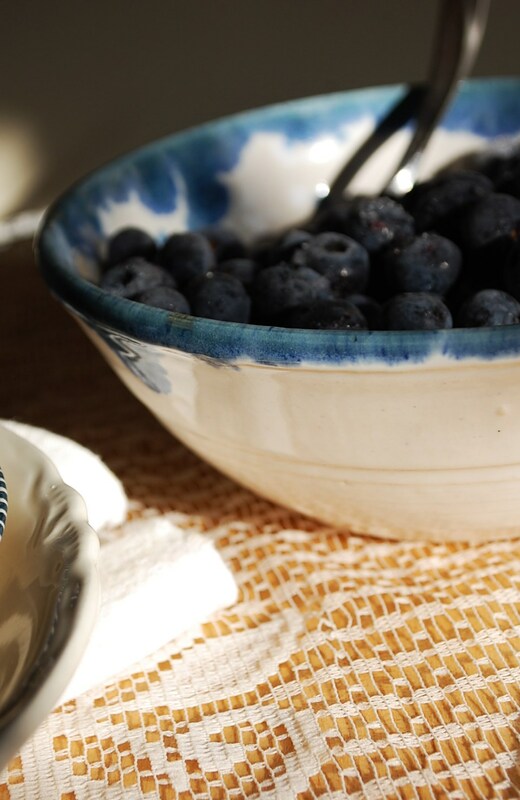 For that reason, a summer bounty dish like this could get expensive when purchasing the proper blueberries. In this case, just eat this as a special dessert, enjoying every last scraping of violet-colored cream and chewy strands of cold honey. 1. 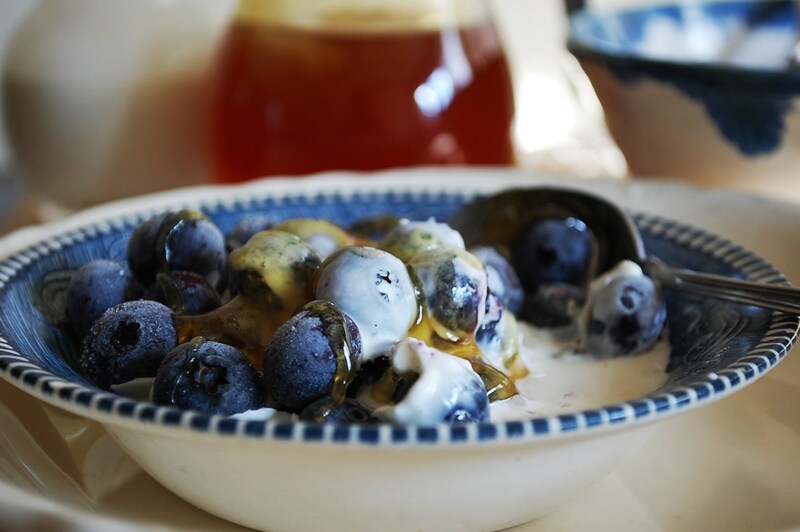 Pour blueberries into a pretty bowl, pour over cream and drizzle honey. 30 Oct	This entry was published on October 30, 2013 at 3:15 pm. 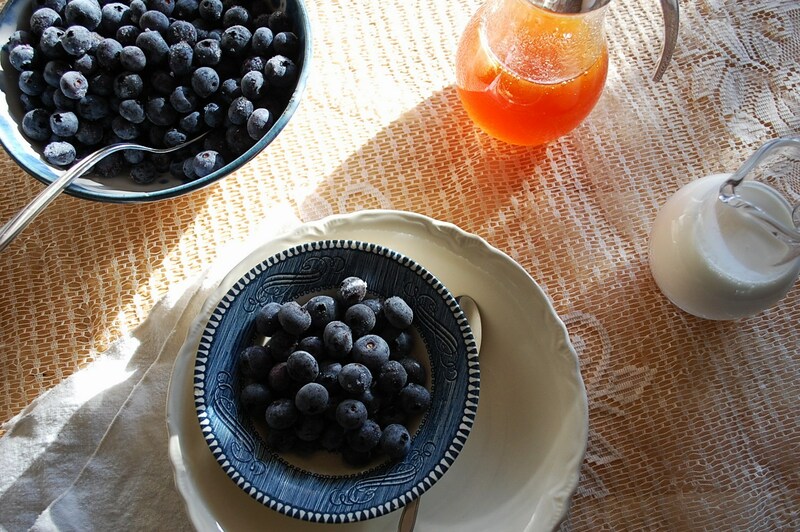 It’s filed under Autumn, Breakfast, Desserts, Light Bites, Summer, The Basics and tagged blueberries, dessert, local, lunch, raw cream, raw honey, seasonal, snack. Bookmark the permalink. Follow any comments here with the RSS feed for this post. Older: A Day In the Life: What Do These Mamas Do All Day Anyway? stunning photos, anna. and this looks incredible. 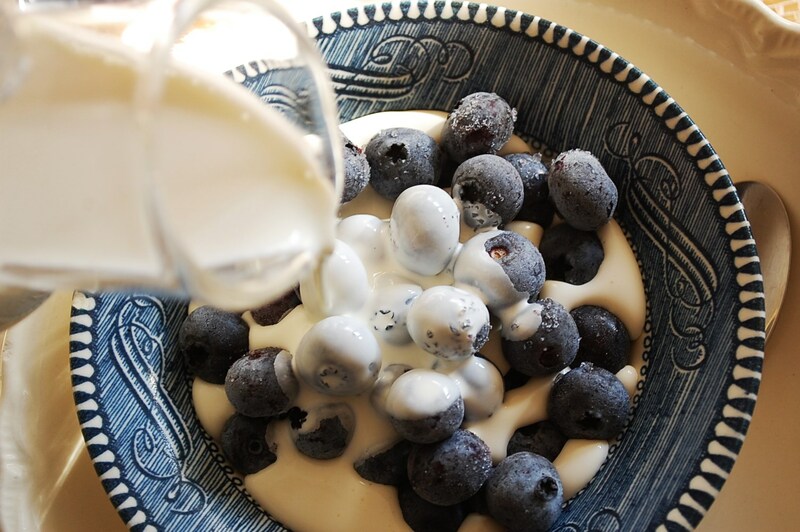 my favorite dish in the world is my dad’s chilled crême anglaise with fresh blueberries…i’m assuming this would be quite similar! Yes, it would be similar, only this might be considered the “purist” version! 🙂 And thanks! !